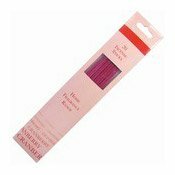 Description: This cranberry flavoured incense has a sweet, fruity aroma and come in a bright pink colour. 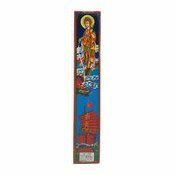 20 beautifully-fragranced incense sticks (joss sticks) to fill your home with a delightful aroma. Perfect for when you wish to change the mood of a room and take some time out to relax. 1. Light coated end until it flames. 3. Place incense stick in an incense burner. Keep out of the reach of children, pets and away from all flammable materials. For fragrance purposes only. Never leave burning incense unattended and make sure ashes fall on fireproof surfaces (ashtrays or incense burners). Not for human consumption. Non-toxic. Simply enter your details below and we will send you an e-mail when “Incense Sticks (20) Cranberry” is back in stock!